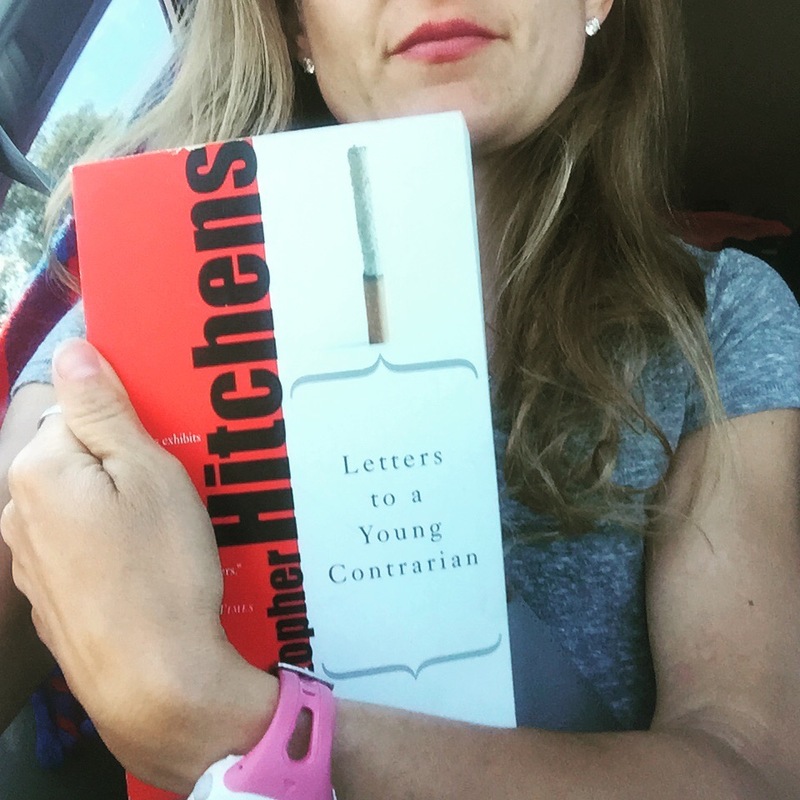 California-bound from Eugene near the end of our road trip couple of weeks ago, in between reading a Tom Swift Jr. book and ancient history to my children and husband, I finished Christopher Hitchens’ Letters to a Young Contrarian (2001). This little collection of essays from provocateur, ideological dissenter, writer, and columnist Hitchens explores the importance of disagreement not only to personal integrity but the progress of humanity itself. It may be that you, my dear X, recognise something of yourself in these instances; a disposition to resistance, however slight, against arbitrary authority or witless mass opinion, or a thrill of recognition when you encounter some well-wrought phrase from a free intelligence. Do bear in mind that the cynics have a point, of a sort, when they speak of the “professional nay-sayer”. To be in opposition is not to be a nihilist. And there is no decent or charted way of making a living at it. It is something you are, and not something you do. The moment you entered his house you were overwhelmed by a single obsession — books. Books were everywhere, on every surface. On the wall, on the floors, on couches, on tables, and in bathrooms, but unlike for many of us, myself included, the books on Christopher’s wall were far more than window dressing. They were arranged according to subjects and ideas in a way that made it clear that the books were regularly read. All of them. And consulted. That the knowledge contained within them was used in the sense that few of us really adequately exploit. It was humbling to witness close-up an intellect that was so capable of surrounding any subject, relishing it, exploring it for its own sake, critically soaking up everything that’s worth knowing. He was ever ready to incorporate this wisdom, to shed light upon old ideas or critically examine new ones, with the full weight of a lifetime of intellectual exploration combined with the playful and curious excitement of a child in a candy store. Those are the two features that were most crucial to what I admired about the man. It takes courage to speak out against injustice and ignorance wherever you see it, no matter whose sensibilities you ruffle. But it takes far more courage to do that when you realise that the odds are overwhelming that you will lose; that stupidity, prejudice, superstition, hatred, power, and money generally win. But it doesn’t matter. You can’t give up. But it’s that second feature, that unadulterated joy of ideas of the human experience, the need for irony and humour, and the recourse to the full banquet of human knowledge and culture that set Hitch apart from so many of the rest of us. So many viewed Hitchens as an iconoclastic polemicist—at best. He rankled. He pressed. He bantered. He made a career of saying the words so many do not want said. His was the language of dissension. I do not speak a harsh language of dissension, but I do speak one. Some of my favorite people are those who think constantly in the mode of satire; one of my favorite people from college who now works at Google regularly posts savage commentary while often making mincemeat of herself as well. No one retains immunity; she is one of my favorite thinkers on my Newsfeed, even on the days she sends up stay at home moms. She’s ironic and intelligent, with a gift for calling attention to folly and foible. But she’s not a snark, nor a troll. We’ve all known those. There is a difference between those who eviscerate out of insecurity and mediocrity and those who embrace an informed and rational dissent in hopes of pulling, pushing, nudging, and scrabbling the world into progress. Hitchens isn’t for everyone, and nor is this woman from college. She regularly notes her defriendings. I came close once a couple of years ago, until I realized that she and I were far more alike in our aims than not. We choose to fight the fight with different strategies. But each of us are more of a black sheep than not, in our different ways. See? 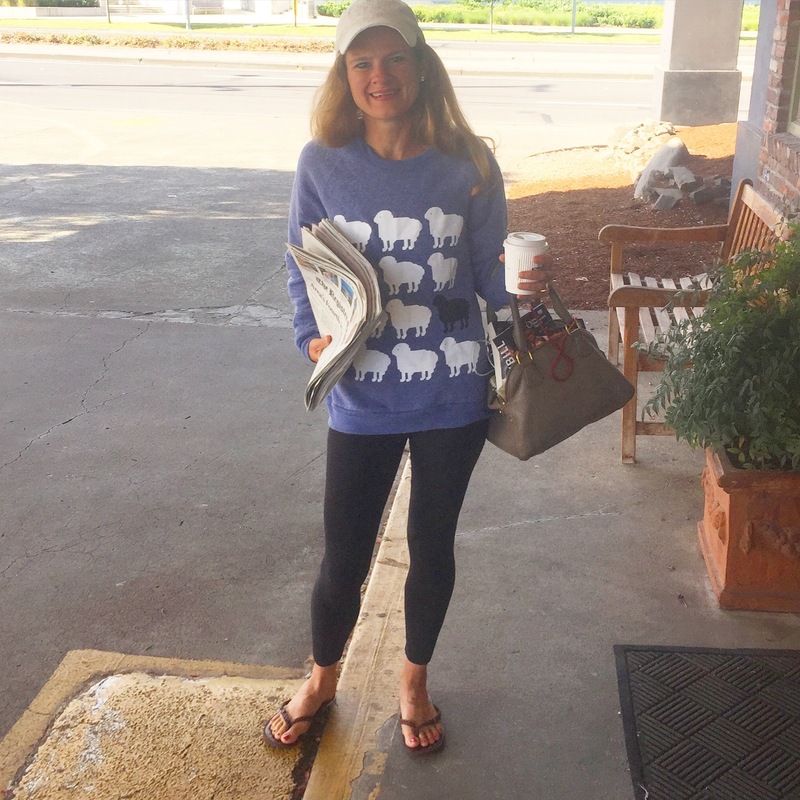 Black sheep sweater. Proof, incontrovertible obviously. In his fifth letter, Hitchens writes about the significance of living “as if.” (All bolded words are my attempt at highlighting the most key ideas in a wholly important passage). The “People Power” moment of 1989, when whole populations brought down their absurd rulers by an exercise of arm-folding and sarcasm, had its origins partly in the Philippines in 1985, when the dictator Marcos called a “snap election” and the voters decided to take him seriously. They acted “as if” the vote were free and fair, and they made it so. In the late Victorian period, Oscar Wilde – master of the pose but not a mere poseur – decided to live and act “as if” moral hypocrisy were not regnant. In the deep south in the early 1960s, Rosa Parks decided to act “as if” a hardworking black woman could sit down on a bus at the end of the day’s labour. In Moscow in the 1970s, Aleksandr Solzhenitsyn resolved to write “as if” an individual scholar could investigate the history of his own country and publish his findings. They all, by behaving literally, acted ironically. In each case, as we know now, the authorities were forced first to act crassly and then to look crass, and eventually to fall victim to stern verdicts from posterity. However, this was by no means the guaranteed outcome, and there must have been days when the “as if” style was exceedingly hard to keep up. All I can recommend, therefore (apart from the study of these and other good examples), is that you try to cultivate some of this attitude. You may well be confronted with some species of bullying or bigotry, or some ill-phrased appeal to the general will, or some petty abuse of authority. If you have a political loyalty, you may be offered a shady reason for agreeing to a lie or half-truth that serves some short-term purpose. Everybody devises tactics for getting through such moments; try behaving “as if” they need not be tolerated and are not inevitable. By behaving literally, we act ironically. We behave as though human dignity and decency are a given. We behave as if others are honest, will not cheat each other, want to evolve. We behave as if beauty overcomes the atrocity. We behave as though the best of our nature can triumph over the worst of our nature. We who live in this subjunctive as-if state embrace the grammar of our position. We grammarians know the as if/as though subjunctive construction indicates an unreal or even improbable event in the present or in the past. We look to, and use the language of, the future. We acknowledge its lack of likelihood. And we refuse to surrender. I think surrendering looks like gratuitous judgment of others. I think it looks like writing a review of a book or a film half read or watched and summarily dismissed. I think it looks like taking a picture of a man with a mismatched outfit on the subway and calling it out for no reason other than promoting pain. Snarkiness is conformity; anyone can whine. Anyone can say: I don’t like this situation in which I have put myself, and I am stuck like a victim in the tar. Rebellion is not the chip on the shoulder without the substance. We need the agitators. But we also need those of us who live “as if.” I live as if you will be fair with me, and I with you. I live as if this day can be better, wilder, more passionate, more curious than the last. I live as if love is real and enduring. I live as if disillusionment with some is not disillusionment with all. I live as if I can be a good person. I live as though I can be more than my flaws, as if you can be more than yours. I wonder when we decide that frowning and tsking and loathing and pointing becomes preferable to the myth of Pan. When we try on adulthood, the results are almost always disastrous. I am not talking about assuming responsibility: even children can do that. Perhaps we think that sheer lament, or even anger, gives us greater gravitas. Certainly there are world horrors both to lament and rage against, and I might be wrong in believing that a language of love will do anything to rectify those. I haven’t lived long enough, or experimented enough, to know for sure. Would that we could always have the heart of children: full of wonder, naturally rebellious and stubbornly optimistic. (Have you ever seen a toddler ask again and again for something he or she desires)? They live as if the world and all who are in it are full of limitless potential. As if mama had eight arms. As if everyone will be just when it comes to taking turns on the slide. As though the beauty in their minds can exist as easily as they breathe. I choose that rebellion. It is, forevermore and always, a choice. There is a fine line between cynical and jaded, between skeptic and snark. Do we believe anything can be? Or do we believe we’re to settle in to righteous anger? Will we hear? Will we accuse? How much of our own happiness/unhappiness are we willing to assume ownership of? How much of our power are we willing to give away either to the supernatural, or to the belief that nothing can change the course humanity is on? Do our words make beauty? Do we live with an insistence not only on finding the good in everyone and everything, but also with the insistence of trying to create that which is good? 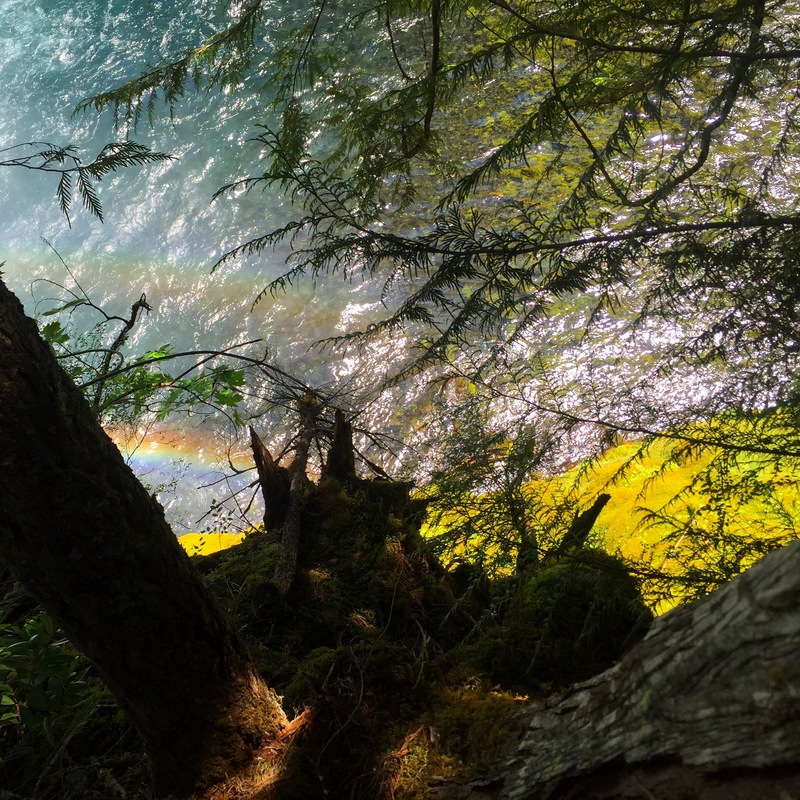 June 26, 2015: double rainbows on the McKenzie River Trail on the way to the Koosah and Sahalie waterfalls. Even nature celebrated the progress of the landmark SCOTUS ruling. Progress is possible. Bill introduced Katie and Eric to Minecraft yesterday. They have spent a couple of hours here and there building their worlds. I wonder how much is too much, but then I think: this practice of building worlds is such a metaphor. What is it that we hope to build? Do our words edify? Even if they must sometimes be harsh, do they also construct? Those of us who are contrary may not always be obviously so. Perhaps we look like pleasers, or chipper naifs who know nothing of the world’s true darkness. No. We know. But in a world where so many are angry, self-righteous, indignant, judgmental, hopeless, and victimized; where most world religions teach us that we are pathetic and never will amount to much; where talking heads fuel the flames of political division: to dare to live as if the world can be one of beauty and joy, too, is to be the ultimate rebel.